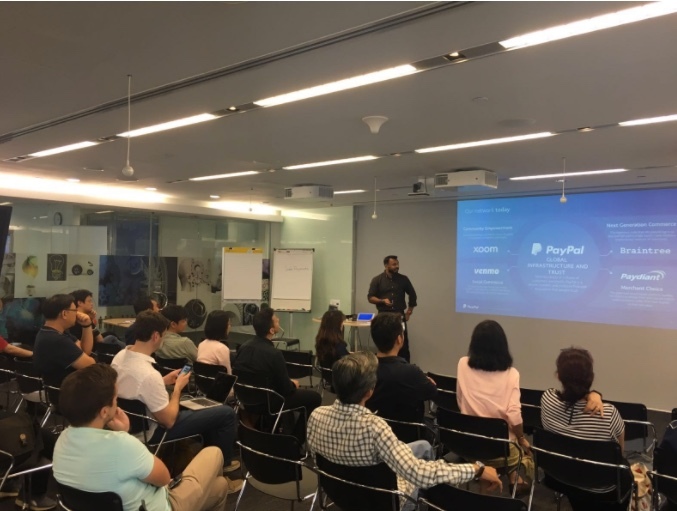 Singapore, 17th February 2016 – In collaboration with PayPal Innovation Lab (PPIL), Singapore Fintech Association (SFA) co-organised an event on the two critical topics for Fintech Startups – Information Security and Public Relations. First speaker was Cybersecurity Veteran, Mr. Phoram Mehta from PayPal. 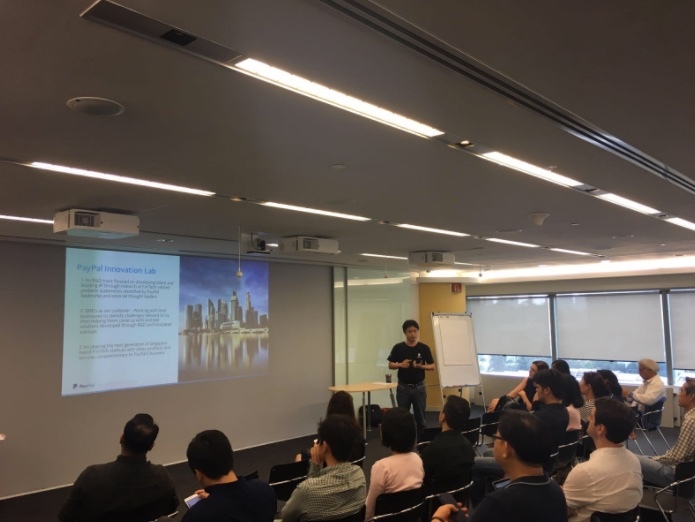 He provided an overview of the changing cybersecurity landscape in Singapore/across the world and its impact on the FinTech space. He also covered emerging trends in cyber attacks as well as defense mechanisms. The 2nd esteemed speaker was Ms. Caroline Bowler, Founder of Bowlah PR, Asia’s first Fintech Public Relations Agency and also founding member of Global Fintech PR Network. 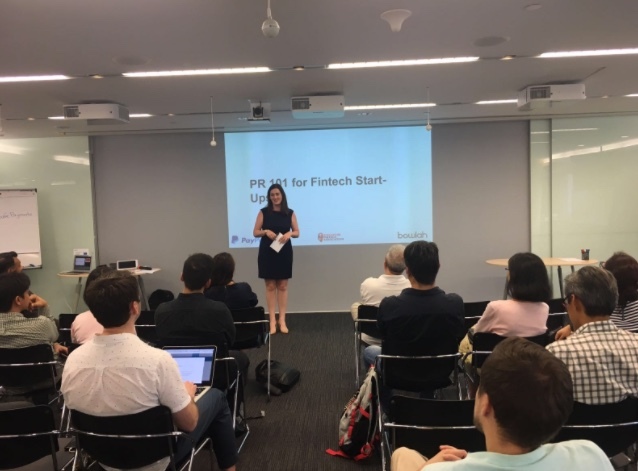 She covered the basics of Public Relations for fintech startups, introducing key PR concepts crucial to a startup’s success. The PayPal FinTech Learning Series initiative is brought to you by PayPal Innovation Lab (PPIL). The PPIL endeavors to foster innovation, R&D, entrepreneurship and capability building in Singapore through collaborating with government agencies, Institutes of Higher Learning (IHL), industry associations and ecosystem partners . Since its official launch in Aug 2016, the PayPal Innovation Lab has been shaping the future of money through innovation.